A Bend in the Road is not the End of the Road ~ Don’t rain on my parade! Thunderstorms and I go way back. From babyhood on I’ve been a rain lover. I would open my window in the middle of the night, listen to the thunder and breathe in the smell of the storm. As a teenager, I would silently climb onto the kitchen counter, open the window and sit with my feet in the sink, enjoying the view. Interestingly, I still do the exact same thing as an adult. You’re never too old to sit in the dark with your feet in the sink. Some favorite childhood memories, are running into the yard during a storm; bare feet; t-shirt; shorts; looking straight up at the sky and instantly the rain became my dancing partner, the thunder was music to harmonize with as I sang. It always ended with me lying on the grass; hands reaching to catch the water as it poured down my arms. I would hear the occasional “come inside or you’re going to get pneumonia”, which I would ignore and then giggle. I wanted to stay in my spot until the sky cleared and the last drops fell. Then, if I listened closely, I would hear the earth beneath me give a sigh of pleasure. Not a summer has gone by without a dance in the rain. It’s not something a person grows out of. I have a memory of when my children were small. A storm began and I called out “let’s go dance!” They looked terrified. I heard mumblings of ‘scary thunder’. Oh dear; my children? Hmm. I ran into the storm, glancing over my shoulder and laughing when I saw my oldest with her arms crossed, shaking her head. Over the years, my neighbours have become used to my ways and I receive applause from windows and the occasional precious photo. Life changes. Helen Keller said, “A bend in the road is not the end of the road…Unless you fail to make the turn.” But will we turn? I’m 37 now; in spirit, much younger; physically, in some ways, much older. My body has been through a mini-series worth of experiences. I will never understand, and neither will countless doctors, the miracle of how this little body continues to run, and now, for the past 5 years, Parkinson disease has tagged along to further pester those insisting I wear a dress created from bubble wrap and duct tape. Less than a year ago I finally admitted that my balance had become such that a cane was needed as a constant companion; we have grown fond of each other. Much has changed; adaptations have been necessary; some things have been put away completely and are now only memories. Two evenings ago, I had my first dance in the rain of the season. I felt a smile run through me as, without my cane, my body fell into movements from another time; muscle memory that hasn’t been forgotten. 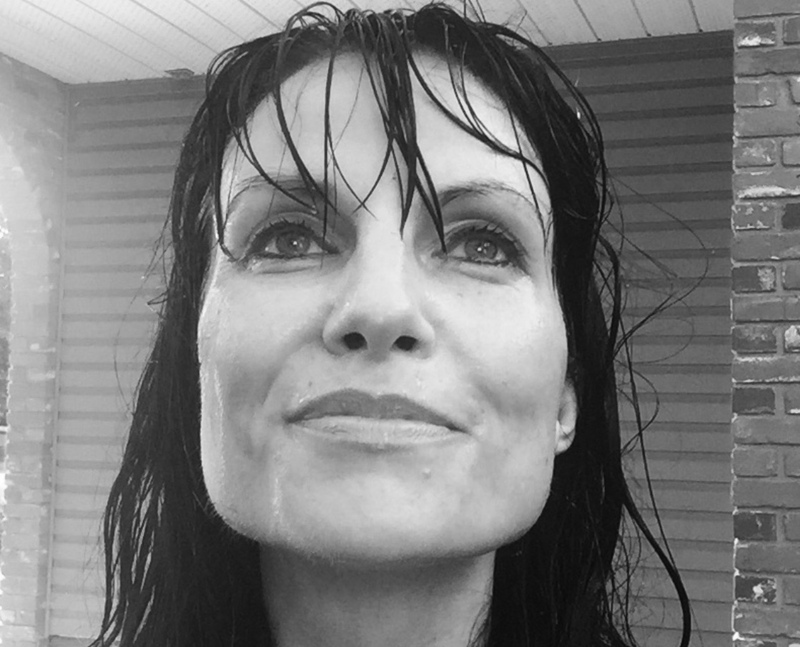 The rain was my partner; the thunder sang harmony; we danced together until bare feet, sundress and dripping wet hair all collapsed on the grass; arms reaching for the sky as the last drops came down. Then the earth sighed. Life doesn’t go how we plan; the road turns and we either find ourselves at the end or we choose to turn with it. I have noticed during my life that some people feel the rain, like I do, while others just feel wet; that some people think only sunshine can be happiness, and then miss out on the beauty of a storm. But I can say with certainty, that life isn’t about surviving a storm, life is about dancing with the rain. ← “Lost My Muchness Have I!” ~ Lessons from the Mad Hatter…Who knew? Beautiful Meg, Reminded me of my childhood. I still like walking in the rain,It cleanses the air and waters my sole. I’m so glad that it could bring back such wonderful memeories!!! !